Adorned with Viking type Germanic brass eagle embedded in the wooden grip. Pommel and guard are of antiqued brass. 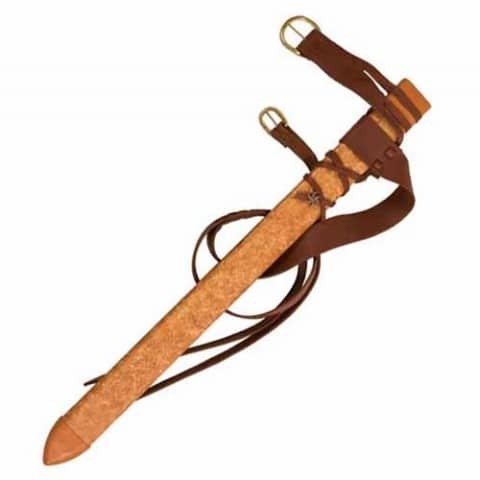 Has a rugged scabbard made of leather covered wood and accented with period metal buckles and fittings. Includes a set of thick leather adjustable belts.